Cyclists wishing to take advantage of a golden opportunity to enter the Takealot Berge & Dale road race at a discounted price have until Friday to do so. Race organisers ASG Events are providing a 15% discount on the entry fee for the event, which is presented by Optimum Financial Services. But the offer closes on November 30. As one of the early national classics on the calendar, the feature race on February 23 over 107km is perfectly positioned as a premier seeding event for the Cape Town Cycle Tour on March 10. 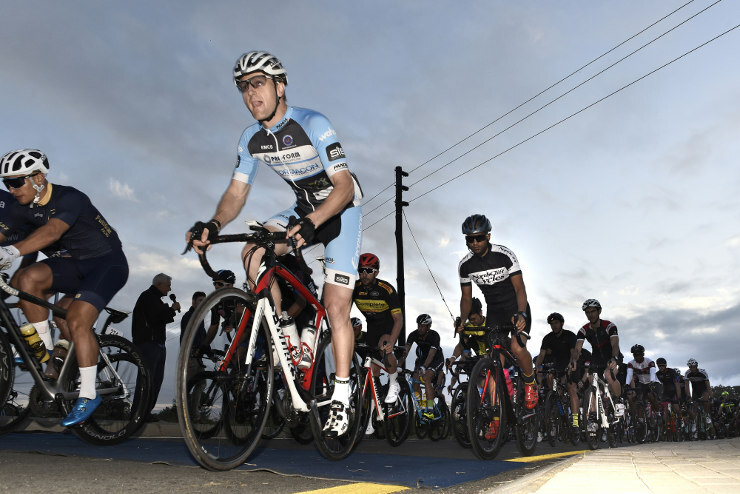 The consequence of this is that it has regularly drawn in the region of 4 000 entrants and ASG Events chief executive Fritz Pienaar said there were a number of attractive incentives for cyclists. “Besides being extremely good preparation for the Cape Town Cycle Tour, we have decided to keep the entry fee for 2019 the same as this year,” he said of the race which takes place in Krugersdorp on Gauteng’s West Rand. Entries are open to the public and the entry fee will revert to the full price on December 1. Entries close on February 13. Pienaar said they had also been able to improve the safety aspect of the race, with the venue having been moved to the Silverstar Casino. “The biggest consequence of this is that we won’t finish on the N14 highway as in previous years. He added that they were assured of the perfect venue for the race village. This year’s event was won by Reynard Butler of ProTouch Sports, his second triumph of the year, while Demacon’s Carla Oberholzer took the women’s title, her third of 10 top podium spots in 2018. Besides the main race, there is also a distance of 60km. This entry was posted in News and tagged ASG Events, Berge & Dale, entries. The 2019 Berge en Dale Road Championship, presented by Optimum Financial Services, is a premier seeding event for the Cape Town Cycle Tour, presenting distance options over 107km and 59km.